The Reports Manager provides many built in reports enabling you to quickly and easily generate reports most needed by HR and Recruiting professionals. 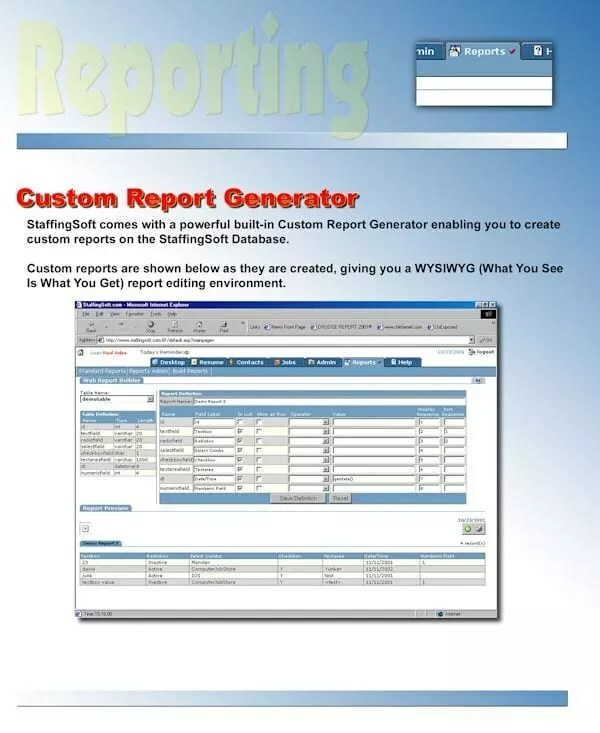 StaffingSoft also allows you to create your own custom repots using StaffingSoft’s Custom Report Wizard. Custom reports are designed to give you a WYSIWYG (What You See Is What You Get) reporting environment. Affirmative Action Planning (“AAP”) Reports.